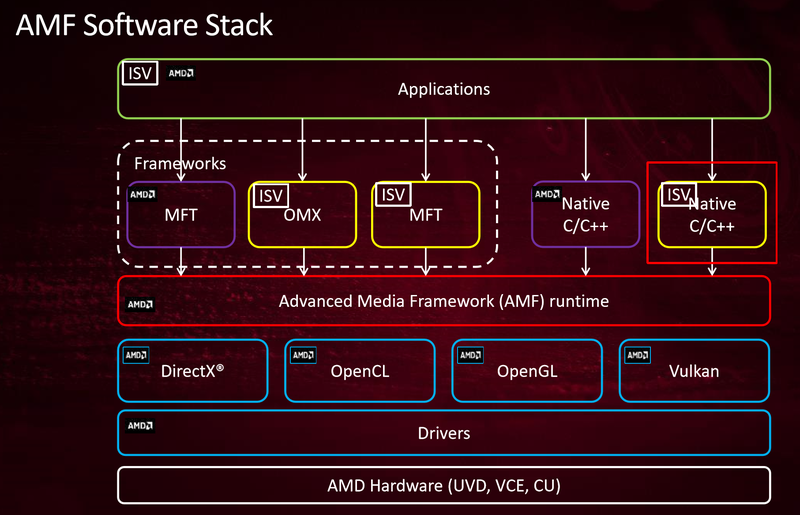 I had a wrong assumption that AMD’s H.264 video encoder MFT (and other Media Foundation primitives) are not based on AMF SDK. There were some references to ATI Technologies in the binary (AMDh264Enc64.dll) and most importantly I was unable to change tracing level of the MFT component on runtime. It was a guess that if AMF runtime is shared when MFT is loaded then change of tracing level would affect the MFT, which was not the case (or I did it wrong). Then the MFT DLL does not have direct reference to AMF runtime amfrt64.dll. Apparently the encoder MFT implementation is built over AMF and VCE. With a static link to AMF runtime perhaps.